In this intriguing talk Peter Davies will discuss Pablo Picasso’s work with linocuts; a fascinating yet often overlooked aspect of the artists’ oeuvre. 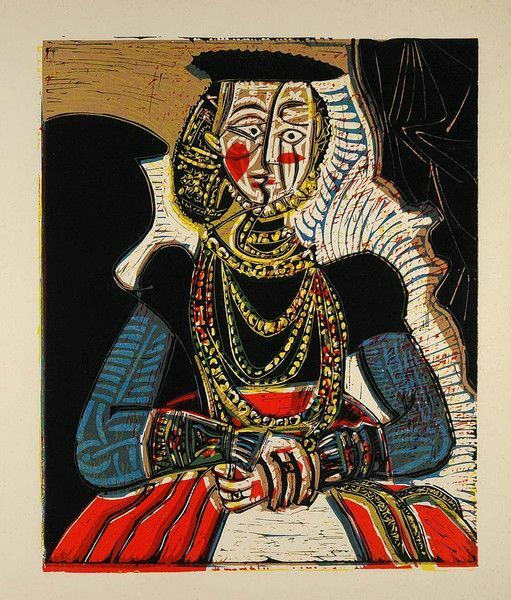 Picasso first came across the complex printmaking technique in 1947, when he moved to the South of France. By the early 1960s he had made some truly wonderful prints, characterised by bright, flat colours and bold patterns. There is no better person to give this talk than Peter Davies, himself an accomplished creator of linocuts. According to Davies, “the laboured intensity and overt logic of the linocut composition makes it a popular, charming and instantly graspable object”.